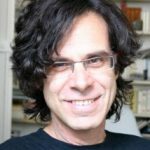 Prof. Berkovitz has taught undergraduate and graduate courses in epistemology, metaphysics, philosophy of economics, philosophy of science, philosophy of physics, philosophy of probability and political philosophy. I have supervised MSc theses in the philosophy of economics and political philosophy and PhD theses in the philosophy of economics, philosophy of physics and philosophy of science. For more information on Prof. Berkovitz’s research, teaching, and publications visit the IHPS website. Forthcoming: A special issue on Probability in Biology and Physics, Erkenntnis (co-edited with Philippe Huneman). 2015: “The Propensity Interpretation of Probability: A Reconsideration”, Erkenntnis (published online, July 7, 2015), pp. 1-83. 2012: “On Supernatural Miracles and Laws of Nature”, Toronto Journal of Theology 28/1, 145-152. 2012: “The World According to de Finetti: On de Finetti’s probability theory and its application to quantum mechanics”, in Y. Ben Menachem and M. Hemmo (eds. ), Probability in Physics, Springer, The Frontiers Collection, pp. 249-280. 2011: Review article on the “Ergodic Hierarchy of Randomness”, The Stanford Encyclopaedia of Philosophy subject to minor revisions (co- authored with Roman Frigg and Fred Kronz). 2008: “On Predictions in Retro-causal Interpretations of Quantum Mechanics”, Studies in History and Philosophy of Modern Physics (an issue on Time-Symmetric Interpretations of Quantum Mechanics), 709-735. 2007: “Action at a distance in quantum mechanics”, The Stanford Encyclopaedia of Philosophy. 2006: “A Modal Interpretation of Quantum Mechanics in Terms of Relational Properties” (co-authored with Meir Hemmo), in W. Demopoulos and I. Pitowsky (eds. ), Physical Theory and Its Interpretation: Essays in Honor of Jeffrey Bub, Western Ontario Series in Philosophy of Science, Springer, pp. 1-28. 2002: “On Causal Inference in Determinism and Indeterminism”, in H. Atmanspacher and R. Bishop (eds. ), Between Chance and Choice: Interdisciplinary Perspectives on Determinism, Imprint Academic, pp. 237-278. 2001: “On Chance in Causal Loops”, Mind 110, 1-23. 1995: “What Econometrics Cannot Teach Quantum Mechanics“, Studies in History and Philosophy of Modern Physics 26, 163-200.